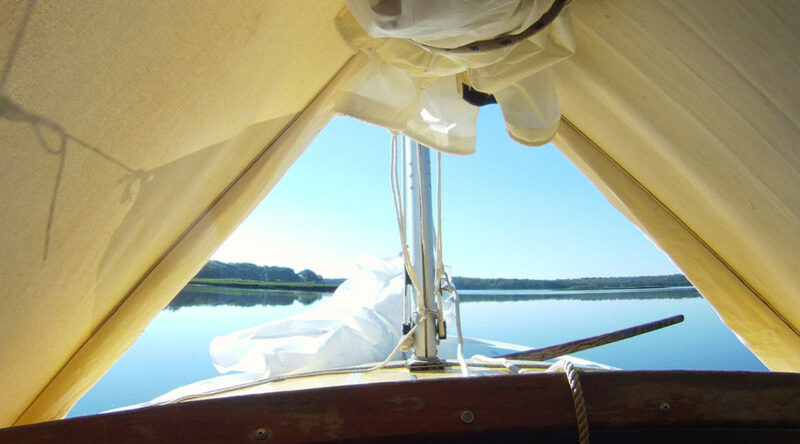 The weather couldn’t have been better for sailing out of the harbor, around Gooseberry Neck, up Buzzards Bay, and between the sandbars guarding the mouth of the Slocum River to ascend it, so that’s what we did. Four adults and two kids were joined in the evening by shore family with fresh made chocolate-wafer-n-whip-cream cake topped with raspberries. The next day started mellow enough for a relaxing row upriver, then gave us enough of a breeze for a fine sail home (with a beach pit stop for lunch). Life hardly gets sweeter. Thanks to everyone for a beautiful weekend!